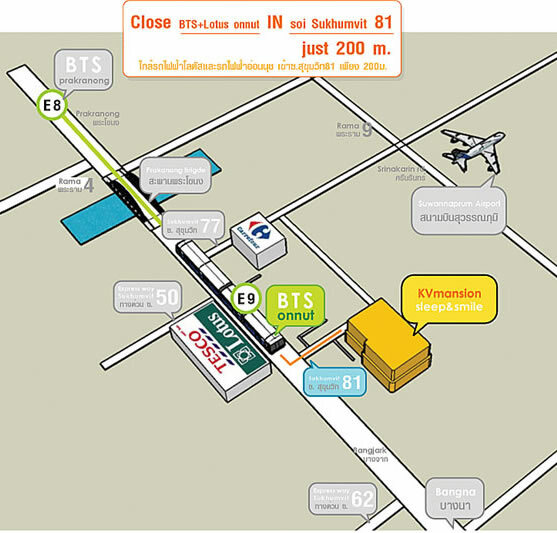 Kvmansion close to BTS-onnut station in soi Shkhumvit 81 walk 3 minute. 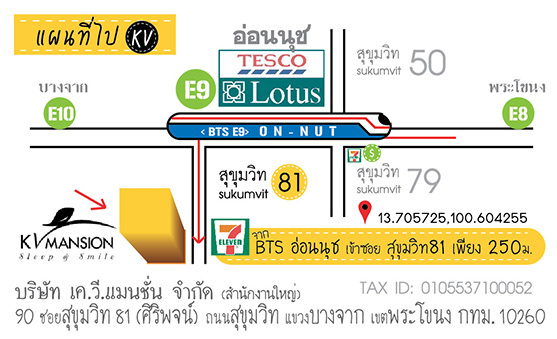 (opposite 7-11). Please transfer deposit money for booking the room.